3. An awesome DJ Lance Rock T-shirt! Contest ends on November 21, 2009 at 11:59 PM EST, 1 entry per household, US residents only. To enter the contest, fill out the entry form after the jump. YGG videos, YGG tour dates and Music Is Awesome! track listing after the jump. 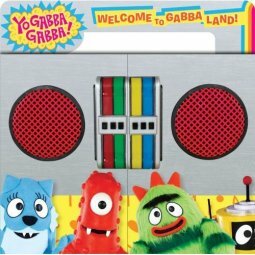 Find more Yo Gabba Gabba videos on YGG’s YouTube Channel. At least you know about them. 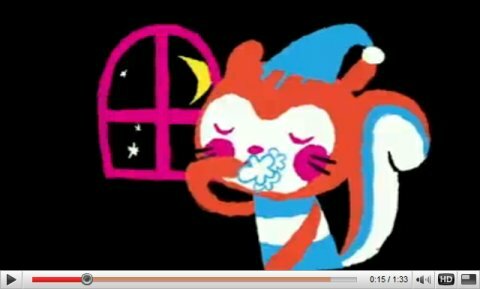 When my grandkids visited for Christmas, I asked what a Yo Gabba Gabba was and I get this eye rolling bit they do when an adult says or does something dumb. 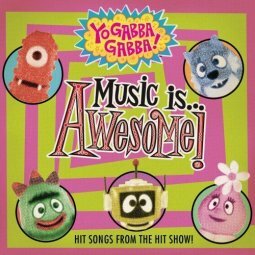 They told me about it and then suggested I build a Yo Gabba Gabba website. So I did. We love Yo Gabba Gabba. I would love to win this for my son, Raymond. He has CP so at 15 months he’s not very mobile, but he LOVES watching Yo Gabba Gabba and sways back and forth to the music. Thank you so much for the opportunity to win!